Where’s that line between being authentic and being spammy? What’s the moment your white hat starts turning grey? All this matters for many… but not to me. In this 4800-words-long guide to “Twitter Automation” I’m going to ignore all the ethics and focus solely on the efficiency of existing automation tactics. If it works – I’ll take it! I did a thorough research and tested a few of my own ideas, so I can proudly say that what you see below is The Most Comprehensive Twitter Automation Guide to this date. I know many of you are here for the shortcuts. You need a tool or two that will do the job while you sleep. Well, I do have some tools for you. But first, let’s focus on the sorts of things you can automate on Twitter and if it’s worth the effort. I’m sorry, but you’re a little late. Last year Twitter officially killed “auto follow”. Well, you see, human beings generally tend to return favours (this is called “the principle of reciprocity”, from a book by Robert Cialdini “Influence: The Psychology of Persuasion”), so some of the people you have followed will follow you back in return. This is really the easiest way to get tens of thousands of followers. But will those followers care about what you tweet? Twitter says I’m following 500 other people. Do you think I read tweets from all of them? Of course not, that’s just impossible. Ever heard of the “Dunbar’s number”? It suggests that a person can maintain stable social relationships with no more than 150 other people. I’ve put 25 people I really care about onto three different Twitter lists and I don’t read tweets from any other people, even though it looks like I follow them. Now do you really think someone can become the 26th person I care about just by following me on Twitter? Not a chance! That is why “mass following” is simply a waste of your precious time. 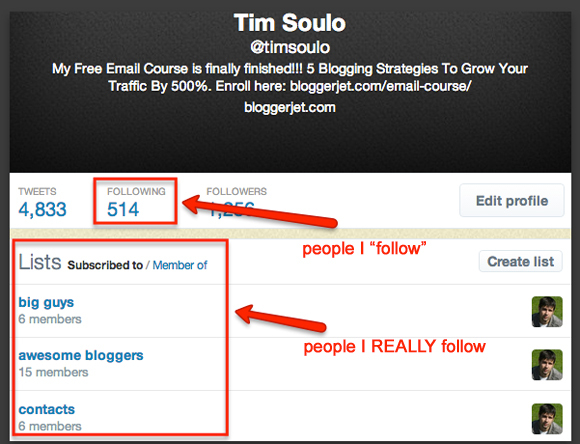 You can grow your Twitter account to a few thousand followers this way, but you won’t get any traffic from them. A huge number of followers can also work as a social proof (people with large Twitter following are perceived as authorities), but if you prefer to scam your audience like that, why don’t you save yourself some time and just buy Twitter followers on Fiverr? If you ask me, I hate when bloggers do such things. The vast majority of your followers don’t pay attention to what you tweet. Three years ago Rand Fishkin was getting about 150-250 clicks on the links he tweeted while having about 20k followers on Twitter. That’s only 1% of his followers. And that guy is a very famous and respected person in the SEO community. 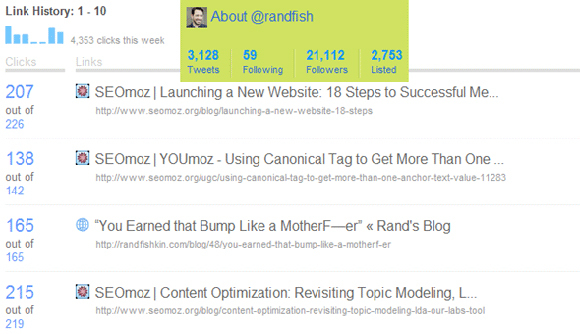 No offence, but I believe you (my reader) are not Rand Fishkin. So I guess the engagement levels of your Twitter followers are much much lower. I’m trying to say, that you shouldn’t really bother about what you tweet to your own followers. You should bother about what you tweet to influencers like Rand Fishkin! I hope you had the chance to read my Twitter Marketing For Dummies guide. It says that the best way to get solid traffic from Twitter is to make influencers tweet your stuff. But first, you should at least appear on their radar. And that is not a simple task. What if you tweet every single article they publish on their blog? Will they notice you? Might be. Especially if you mention them by adding an “article by @author” suffix to each tweet. Luckily, this is something you can easily automate. And I see nothing spammy about it. If someone would automatically tweet every new article published here at BloggerJet I would feel nothing but gratitude to that person (hint-hint). The only downside of such automation is that you can’t add a personal note to the tweet. But hey, you can always tweet the same article again with your comment after you’ve read it. Your personal notes in tweets are very important for they make your message stand out from hundreds of other tweets and help you create that bond with the author of the article. I suggest you make it a habit to tweet every article you read online, mentioning its author and adding a brief comment to the tweet. You never know when such tweet will turn into a life-long relationship. Auto tweet older articles from your blog (a lot of followers missed them before, so they will see them now). And yes, I have the tool for you down below. Keep reading. But the article has its own reach! Whenever someone tweets your article to his followers – that adds to the reach of your article. If 10 people with 500 followers each will tweet your article after reading it – it reached 10*500 = 5000 people! That is already more than your own reach! So instead of focusing on growing your own Twitter following I suggest you to focus on making your readers tweet your article to their followers. Fill your article with short tweetable statements to provide your readers with some solid copy to pull into their Twitter updates other than just your headline. And what if you settle an agreement with a few other bloggers to automatically tweet every new article published on your blogs? The @reply and Mention functions are intended to make communication between users easier, and automating these processes in order to reach many users is considered an abuse of the feature. We discourage the automatic retweeting of other users based on a particular keyword and may suspend accounts that engage in this behavior. Including an automated “thanks for following” message to your new followers might be annoying to some users. We do not recommend this behavior. But hey, I told you this guide is about efficiency and not ethics. He was inviting me to his email list via a Twitter card. What an awesome tactic! But this wasn’t an automated tweet and unfortunately my search for the kind of tool that can do it on auto pilot ended up with nothing. Yet I’m convinced this great tactic is well worth some manual work! Just copy/paste the same text to everyone who’s tweeting your articles once you notice that. Why not? Offer a product: “Thanks for the tweet! Maybe you’d be interested in taking my free email course at http://link_to_course?”. If you try replying everyone who tweets your articles you’ll see how effective this is. This tactic is based on the principle of Commitment (or Consistency) offered by Robert Cialdini in his book. It suggests that we have a deep desire to be consistent and once we’ve committed to something, we’re then more inclined to go through with it. So when someone is tweeting out your article, he’s kind of admitting that it’s great. And once you ask him for some favour related to this article, his inner forces make it really hard to refuse. You can even go further with this strategy – monitor as people tweet a specific keyword or a hashtag and try to engage with them exactly the same way. This will be a little less effective as the principle of commitment is absent in this case, but it’s still worth a try! And don’t you tell me it’s spammy or irritating. You’re actually doing a disservice to people, by not offering them your great content when they need it (in case your content is truly great of course). But most importantly… This tactic really works. The above tricks apply to direct messages as well. But this time you’ll be reaching out to people who have just followed you or who are following you already. Some bloggers are convinced that everyone hates automated Direct Messages. But as bloggers/marketers we’re biased. We know most of the tactics and we can easily spot them. What about the people with less experience in online marketing or those with no experience at all? I believe many of them would be happy to get some extra content from you via a direct message and not consider it sleazy. So why don’t you just try it? Sending an automated direct message to every new follower is something you can still automate with certain tools as Twitter does not directly prohibit this practice (they just don’t endorse it). One other thing you can automate is sending a mass direct message to all your followers. I think this makes a lot of sense when you launch something important and you want your followers to know about that. And it makes no sense at all if you decide to direct message them every new article you publish – you have regular tweets for that. Something to consider: only people that you follow can send direct messages to you. This way a follower of yours won’t be able to reply to your direct message if you’re not following him back. Now this can be really irritating and piss some people off. 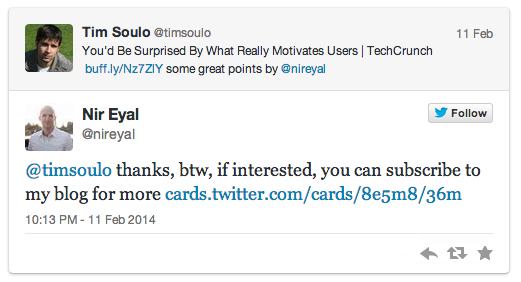 Some tools give you an opportunity to retweet pre-selected users in case they tweet pre-selected keywords. But what’s the point? If you start auto-retweeting influencers I don’t think this will help you a lot to appear on their radar. So I’m afraid I can’t really see the benefits of automating retweets. If you think otherwise – please share your ideas in the comments. Before you start doing those things to appear on someones radar you have to decide who’s that guy you want to connect with, right? But why the “research” when you already know all the influential guys in your niche? Why search for others? Well, probably because your chances of connecting with the top guys are miserable at best. These people get so many emails and Twitter mentions per day that it’s just impossible for them to “connect” with everyone. That is why you should reach out to the guys who are currently at the same level you are (or maybe just a little bit higher). Once you publish your next solid article, go find 100 people on Twitter who have some influence in that topic and reach out to them. This way, after publishing 10 articles you’re going to reach out to 1000 people in total. And I bet at least 100 of them will react in some way. You can put them on a separate Twitter list and continue your communication from there. Initiating connections with fellow bloggers that may later develop into partnership or friendship. But don’t get me wrong here. I’m not saying you should spam hundreds of people every time you publish a new 300-word article. This strategy works only if you’re promoting your best content (and I’m absolutely going to reach out with this guide to a few hundreds of people, as I’ve spent well over a month working on it). So how do you find the right people quickly and easily? I have some cool tools below that will help you. I know that the headline of this guide kind of suggests you an “auto pilot” solution. But as you already know, Twitter has killed most of the automation options, forcing everyone to use it in a more authentic way. And even these small things that you can still automate will inevitably turn into natural conversations. And you have to make sure you won’t miss any of them. That’s why you have to setup a convenient system of filtering and monitoring your social activity, so that you could spend no more than 30 minutes daily on your Twitter Marketing. And in the next section I’m going to share some tools and give some tips on setting the whole “semi-automatic system” up. I wanted to divide these tools in groups based on what they do, but since many of them do a variety of things, I will just order them in a way that reflects how often I use them myself. I sincerely believe that we should tweet every article we read online. That’s the least we can do to return the favour to the author of the article, who shared some valuable information with us (did you already tweet this article by the way?). 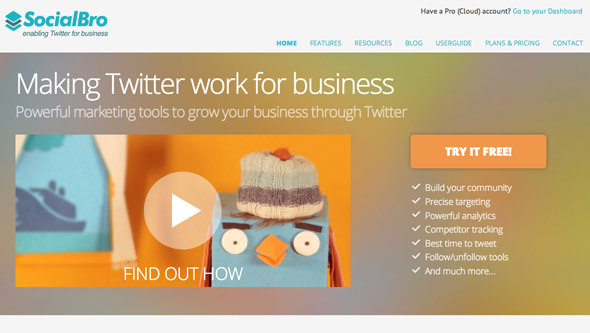 everyone is using BufferApp to schedule their tweets… are you? Like I suggested above, you should even go a step further and mention the author of the article in your tweet along with a quick comment about the article, as this helps to build relationships. 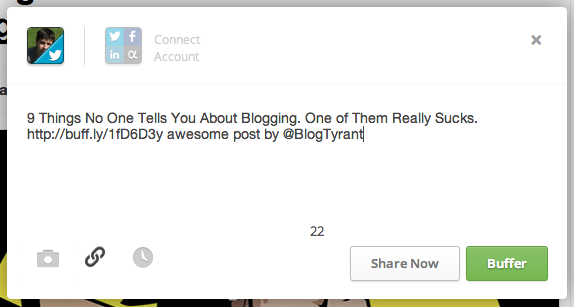 I can then login to my dashboard and see statistics of every tweet that was sent by BufferApp: clicks, replies, retweets, etc. This means I don’t have to worry about tweeting too many articles in a short period of time. I just stack them to BufferApp along with my comments and author mentions and then it will release them for me with perfect timing. Not sure if you’ve noticed the trend, but lots of bloggers today are planting short tweetable messages into their articles to motivate people to tweet more frequently. And it actually works! Having a “Tweet” button floating next to your article is not enough to motivate your readers to share it on Twitter. You have to be just a little bit smarter about this. Plant a few quotes or catchy phrases within the content of your article and put a “click to tweet this” call-to-action right next to them. This way you’re giving your lazy readers some awesome copy to pull into their Twitter updates other than just tweeting the headline of the article. And you can do it too, using either the free ClickToTweet online service or a WordPress plugin called TweetDis. With ClickToTweet you can only create text links and you have to visit their website every time you need to create a new tweet. If the phrase that you want people to tweet deserves a paragraph of its own, you can put it into a neat box, which makes it super prominent in your article and motivates people to click and tweet it. If the phrase is a part of the paragraph and you don’t want to take it out, you can style it differently and display a hint above it, once people hover their mouse over it. I think you’ve noticed how I’ve used TweetDis to plant several tweetable quotes throughout this article. And I’m sure some of you actually tweeted these quotes. This tool should be your social media dashboard. This is where you monitor your brand and your niche. This is where you communicate with your followers and reach out to influencers. HootSuite lets you create multiple “streams” that you should regularly check and jump into the conversation where necessary. A stream with mentions of my brand – “BloggerJet”. Keeping up with all these streams takes me no more than 30 minutes a day. I check what others tweet and jump into the conversation where I can. I can’t even imagine how I would track all these things without HootSuite. Highly recommended! Make them tweet your content regularly. Well, believe it or not, but with Triberr you can skip the first two steps. 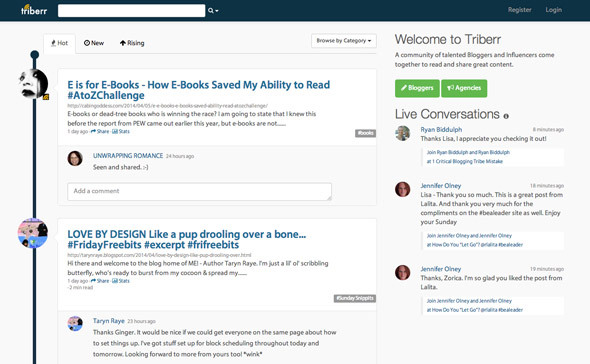 Triberr is a community of like-minded bloggers that form groups (tribes) and automatically tweet every new article that’s published by a member of the group. All you need to do is sign up at Triberr, find relevant tribes and join them. Once you do that, the average number of tweets per post will noticeably increase (as well as the traffic to your blog). This service really helped me out in the early days of BloggerJet and it still accounts for 30-50 tweets on each article I publish. I advice you to thoroughly pick the tribes you want to join as many of them are full of low quality blogs. But the best way to use Triberr is of course to create a tribe of your own. I mean don’t skip those two steps I’ve mentioned above, connect with a few awesome bloggers in your niche (no more than 5) and invite them to your tribe. This way you’ll make a very powerful tribe of your own. You may also consider Flauntt, which is a somewhat similar service. At Flauntt you don’t need to get into existing tribes or create any. There’s a feed of articles that other bloggers have submitted and you should tweet them to get some points. Then you can spend these points to have other people tweet your stuff. Yet this service is very new so I’d suggest you start with Triberr. This is how you find people with some influence on Twitter. There are thousands of bloggers in your niche who would happily connect with you and share your awesome stuff with their following. And the easiest way to find them is to do a search for specific keywords in their Twitter bios. But there’s more! 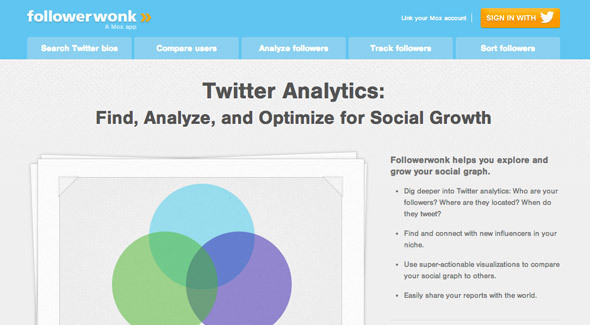 You can then compare different users side by side and analyze their following. This will help you understand if the guy has the kind of audience you’d like to tap into. Remember my advice to reach out to a 100 new bloggers on Twitter every time you publish a solid post? Well, with FollowerWonk you won’t ever experience a shortage of new people to reach out to. Some may call it spamming but for me it’s more of a cold calling, which is a commonly used practice. There are tons of alternatives to FollowerWonk that help you find influential people on Twitter. 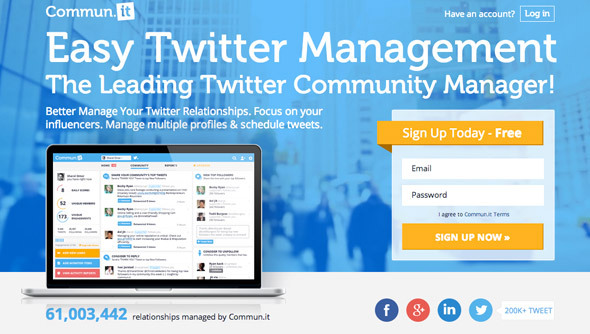 The best known are ManageFlitter & WeFollow. 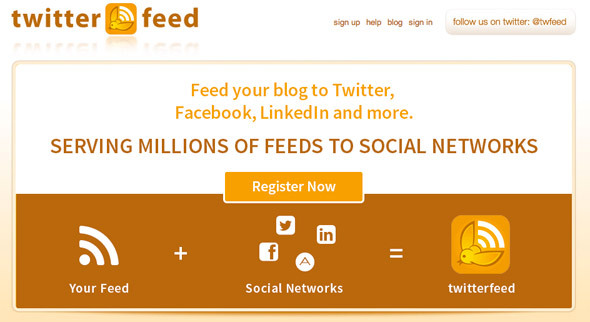 With this simple tool you can attach an RSS feed of any blog to your Twitter account. Once a new post is published on that blog it will be automatically tweeted. You can also attach unique suffixes to tweets from specific blogs, like this one – “article by @author”. Remember I told you this is a nice way to have some blogger notice you? But of course you should not rely solely on this automation. If you really want to connect with someone make sure you regularly leave valuable comments on his blog and reply whenever he’s asking something on Twitter. The automation alone is not too effective in building relationships on Twitter. If you were thinking to add the RSS feed of your own blog to TwitterFeed and tweet your own articles automatically – don’t bother, there’s a much more convenient way to do this. Meet TweetOldPost – a free plugin for Wordprees (though a plugin like this shouldn’t be free). It will automatically tweet every new article published on your blog and you can also configure it to tweet your older articles from time to time. I like how Danny Iny does it. Every old article is marked as “Old favorite” at the beginning of the tweet. This way his followers can differentiate fresh content from older one. Danny Iny – learn from the pros! I know this tactic works because I quite often click on those “old favourite” articles that Danny tweets. 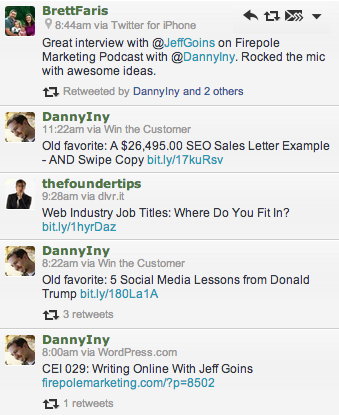 When I reached out to Danny I found out that he’s using Tweetily, which seems like a nice alternative to TweetOldPost. 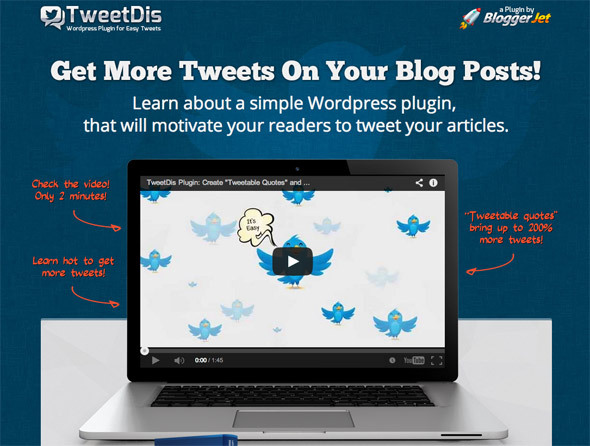 I strongly recommend you to check this great article by Kristi Hines where she gives some awesome tips on how you can use TweetOldPost plugin and not irritate your following (she also shares some nice tips on using TwitterFeed and Hootsuite). Behold the king of Twitter automation! Well, at least it was one a few releases back. With all those Twitter automation restrictions the guys at TweetAdder had to cut like half of their functionality. So what can TweetAdder be used for now? You can send automated Direct Messages to your new followers as well as mass Direct Messages to your existing followers (now that’s something unique). There are a lot more features but somehow I can’t see the way to get any meaningful results with them. If you think otherwise – please let me know in comments. There some tools that I didn’t personally try, but I think they totally deserve to be in this guide. And because I didn’t try them personally, my feedback is quite brief. One of the unique features of this tool is that it can monitor specific keywords on Twitter and send automated replies to people who tweet them. How do I know it can automate replies while I didn’t even try it? I checked the user manual. All in all this looks like a super advanced tool with tons of features. But looking at my list of “Things You Can Automate on Twitter” I just can’t see why would I need a tool like that. Actually I used this one like 5 years ago, but after logging in with my old account I’ve discovered that now it’s a totally different tool. 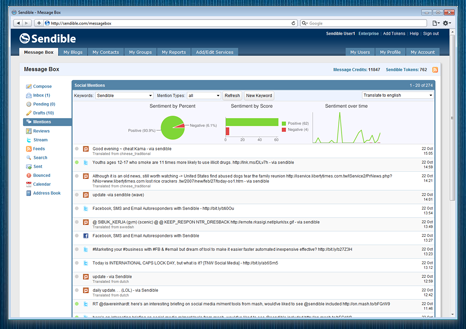 Socialoomph can do almost anything, from scheduling tweets and tracking keywords to managing several accounts at once. 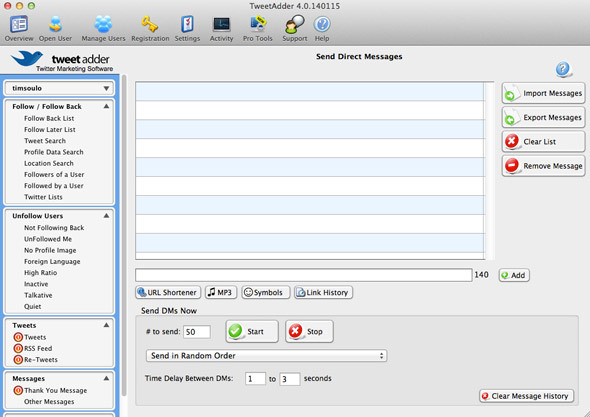 Earlier in this article we were discussing ways to send Direct Messages to your followers. Well, I guess a mass direct message can easily be noticed by Twitter and get you in trouble. This is why you should try using TweetDrip. It can drip your direct messages over a certain periods of time, which will not look suspicious to Twitter. This looks like a very powerful tool. From what I can tell, it can do almost all the things the above tools and services do. It can even automate replies when someone favourites your tweet, follows you or adds you to a twitter list. No other tool can do that. I’d recommend you to try all the aforementioned strategies manually, see if they work for you and what benefits they bring… and only then decide if you’re willing to pay this money to save yourself some time doing these little tasks. 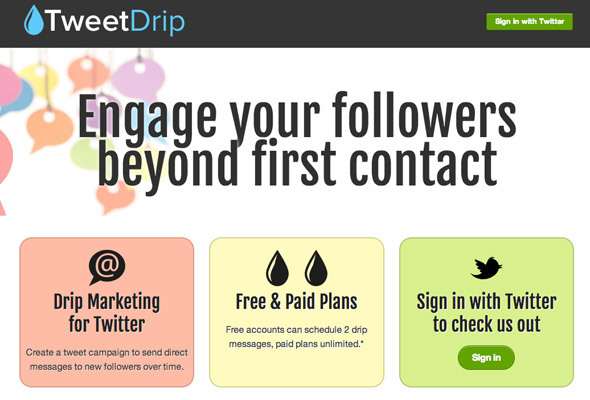 This tool seems to be extremely valuable in case you have lots of followers. From what I can tell, this tool can identify your most influential followers and help you connect with them. Other than that it has many cool features that let you automatically interact with your followers. Seems like another fun tool to try as part of your Twitter Automation strategy. I’ve found this tool just recently and even though I didn’t use it myself much, I believe it’s totally worth mentioning here. 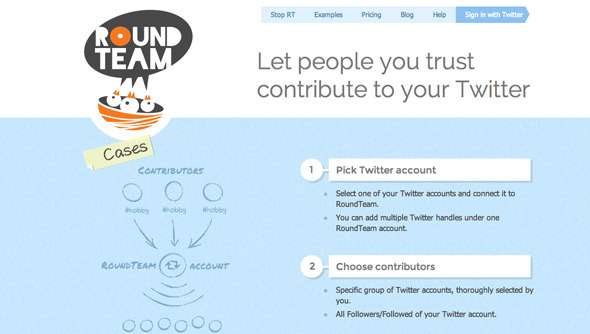 With this handy tool you can configure a number of scenarios as to posting automated tweets. You can automatically retweet messages with certain keywords or hashtags in them or retweet specific people. 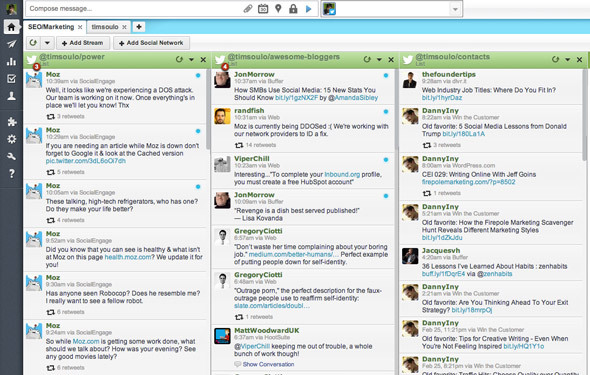 This tool is very useful if you have a large number of contributors writing tweets for your company Twitter account. What Are You Going To Automate Now? 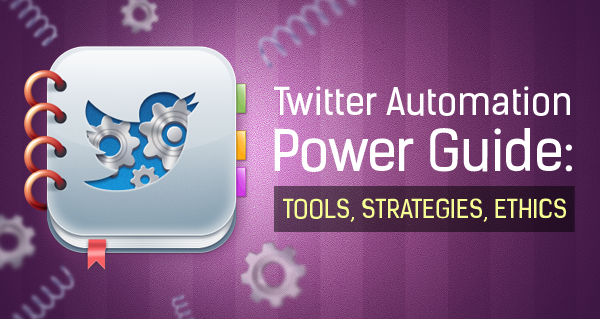 So that was my “Ultimate Guide To Twitter Automation ”. What do you think about it? Did you grab some fresh ideas of how to reformat your Twitter Marketing strategy and have the best possible results with the least effort and time invested? Which tactic did you enjoy the best? Awesome post. I am a fan of Robert Cialdini and I love the way you combined the influence ideas and the twitter tips. This is one of the best twitter guides out there. I would add http://mention.net as a monitoring tool. WOW !! Amazing list, I have always felt twitter is the best tool to do online promotions. 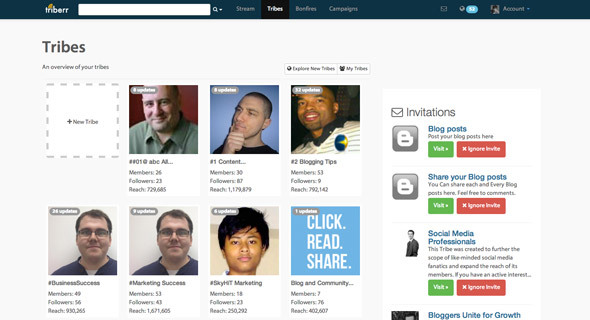 Its way better than the other social networking tools as the Followers are targeted and helps increase business. I personally like Triberr as it helps grow together. Wow! What a great article. I really like the article of tweeting every article that I read. And some of the resources that you mentioned are new to me, so I will check some out. Solid tips Tim. I give freely to receive easily. Sometimes I get caught up in stats and forget the Golden Rule: RT others, they’ll RT you. Been traveling the world for 3 years running using this approach, prospering online, so if influencers or not RT me, working quite well! Thanks for the auto tips! yeah.. interaction on Twitter is really a powerful thing.. there’s no point of trying to use it just to promote yourself! Thanks a lot for the new cool tool! Fantastic guide. When I’m active, I’m doing most of this, but there are even a couple of new ideas for me here. I do have an example use case for automating retweets — let’s say I want to share good content about LinkedIn. I might not want to retweet everything from LinkedIn’s official Twitter channel, but I might want to retweet, say, everything from Mashable that’s about LinkedIn. Unfortunately, since Twitter changed their API and you can no longer make an IFTTT rule to do this, I don’t know of a tool that would allow me to do this. If you know of one, let me know. Well.. this sounds like a nice use case! I have to agree with that. I absolutely agree with you, Melissa.. telling people automated compliments is way too cheezy! hate that too! Wow. what a comprehensive post tim. great job and much food for thought here. I’m a huge fan of automation and the huge ROI it can bring when used correctly and as part of a balanced strategy, however as I discussed in the article I wrote recently on social media automation ( http://digitaldestinymarketing.com/blog/why-strategic-social-automation-should-be-a-part-of-your-online-marketing-strategy ) , I think that quite often, power users should have / need to have their own social tools created for them (for many reasons (including flexibility and dynamic) rather than using something ‘off the shelf. What are your thoughts on this?! Are you an API guy or a tool guy? Hey Niall, unfortunately I don’t know how to code.. which is why it’s an issue for me to tap into some API.. however from time to time I hire guys to create some tools for me..
Nice Read and some good tools. Can you get in touch as I have some tools that I would like to invite you to try. As someone who is in this space I believe you may be interested. Great article and hope to hear from you soon. Just wondering if you read my comment posted in December yet? Nice article! I just retweeted it. Thanks for mentioning your tool, Gareth. I think some people might really find it useful! TweetJukebox.com by Tim Fargo (@alpabetsuccess) — makes loading tweets and managing different campaigns >e.x.t.r.e.m.e.l.y< easy. He just launched in late Jan 2015 but is already showing MUCH promise…. thanks for a super insightful comment, Garrett! Awesome post Tim, some really helpful stuff. I even shared it with my followers (hint hint) ;). Long article but worth the read. I use Buffer for automation and always viewed Hootsuite as the one you use if you don’t use Buffer. After reading this I’ll give it a shot. Biggest take away for me is going to be using TweetDis on my site. Thanks Tim. Great article, very informative! There are a lot of amazing tools on this list that I’ll definitely be keeping in mind for future reference. I’ve been using a tool recently called https://tweetfavy.com/ it’s great and it really helps me get a lot of real and organic followers at a rapid pace. What are your experiences with this tool? I honestly would only use a auto to promote a webinar, content or something cool. Other than that I won’t. I really loved this post and appreciate that you have been taking the time to put it all together. I will share it and put you on my favorite list, so keep up the good work. It’s crazy that Crowdfire isn’t on this list. They’re the most used third party app with 14 million users. A free tool twicial.com that can manage multiple accounts, schedule posts, find out who doesn’t following you and a detailed search. The platform also has an internal grading system for the Twitter users such as Social, Activity and quality grades. The commentary on mass following couldn’t be more wrong. The dirty secret in social media marketing is that 3/4 of the influencers are engaging in the very (cheat) practices they tell everyone else not to employ. I built a brand using TARGETED mass following. It’s how I make my living now. Here’s a doozy: Marcia Collier and other prominent web influencers actually have armies of Twitter bots that RT and fav their tweets to make them look more influential than they actually are. My advice: Be very wary of any marketer who tells you not to use the cheat codes. They’re only distracting you from being successful. We all deserve to have our ideas consumed. Twitter is the place where you can easily build a potential audience for that consumption. It’s what I call the great equalizer and I encourage you to cheat to your heart’s content.